ACO is the world leader and pioneer of modular trench drain systems. 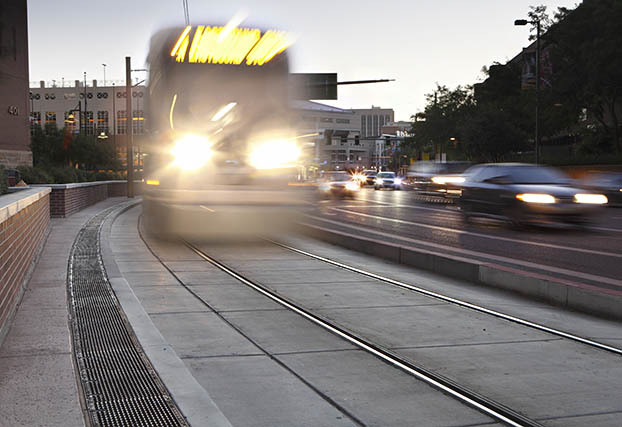 ACO commercial drain systems are used in a variety of applications from pedestrian plazas to airports. 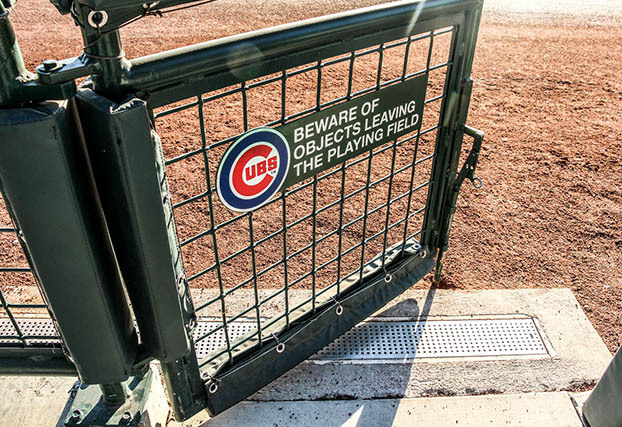 ACO drainage products have been used at many prestigious locations, including Olympic Stadiums since 1972. 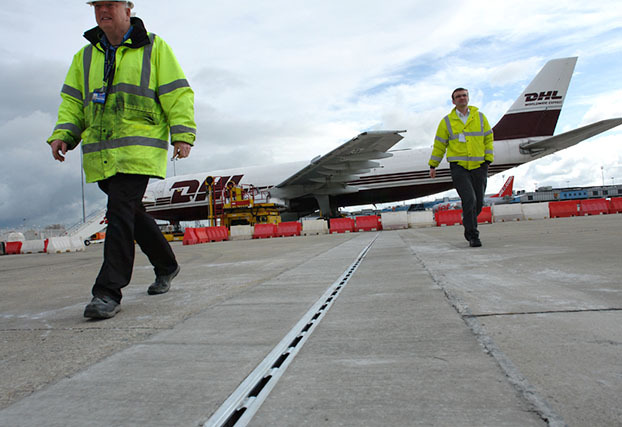 In addition, ACO has an established Technical Services Department with many years experience advising on surface drainage to assist in the design & specification of the right trench drainage solution for a particular application. This complimentary service is offered with no obligation and is supported with extensive, high quality information, brochures and technical documentation. ACO Drain polymer concrete + fiberglass trench drainage systems and catch basins, which includes KlassikDrain, PowerDrain, FlowDrain, Brickslot, Membrane Drain, and MiniKlassik. Aquaduct custom stainless steel or fiberglass trench drains for more demanding applications. 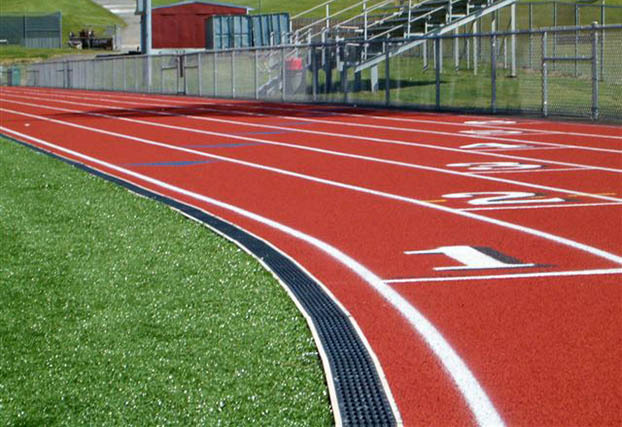 ACO Sport trench drains and accessories for track & field and other outdoor sports fields. 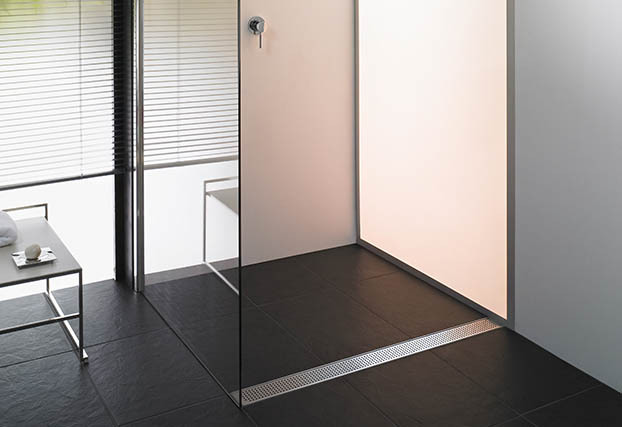 QuARTz by ACO is a new range of stainless steel linear shower drains for custom tile showers. 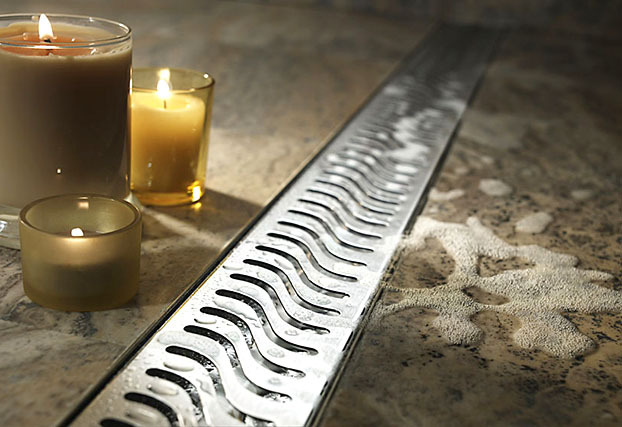 QuARTz by ACO linear shower channels offer a more artistic solution to shower drainage; there are seven grate styles available in stainless steel or oil-rubbed bronze to complement other bathroom fixtures. Optional LED water activated lighting adds an additional dimension, taking the design to an even higher art form.